Literature Nobel Goes to French Novelist Patrick Modiano : The Two-Way The Swedish Academy lauded Modiano "for the art of memory with which he has evoked the most ungraspable human destinies and uncovered the life-world of the occupation." French writer Patrick Modiano's most recent novel is Pour que tu ne te perdes pas dans le quartier. Modiano is pictured in 2003. This year's Nobel Prize in Literature has been awarded to French author Patrick Modiano, the Swedish Academy announced this morning. Something of a surprise selection, Modiano is the second French writer in less than a decade to have won the award. In a citation read by Permanent Secretary Peter Englund, the academy lauded Modiano "for the art of memory with which he has evoked the most ungraspable human destinies and uncovered the life-world of the occupation." Modiano made his debut in 1968 with the novel La Place de l'Etoile. In the years that have followed, Modiano's prolific output has garnered both popularity and acclaim in France, even as a relative few of his works have been translated into English. His most recent novel is Pour que tu ne te perdes pas dans le quartier. Only six of Modiano's more than 40 works have made their way into English. Night Rounds — his second novel, and the first in English — A Trace of Malice and Missing Person are among the few that have been translated. In these novels, as in much of his work, the troublesome questions of memory and Jewish identity are thrust to the fore — a fact that has drawn occasional comparisons between Modiano and another great French novelist, Marcel Proust. The Telegraph reports that "Modiano was born in a west Paris suburb two months after World War II ended in Europe in July 1945. His father was of Jewish Italian origins and met his Belgian actress mother during the occupation of Paris — and his beginnings have strongly influenced his writing." Modiano still lives in Paris, and the city continues to play a central role in his fiction. On Morning Edition, NPR's Lynn Neary spoke of these fateful beginnings. Born right at the end of World War II, Modiano remains haunted by Nazi Germany's occupation of France during the war, and his family's connections to it. "He called himself a product of the 'dunghill of the Occupation,' " Neary explained. "He said it was a time when two people, who never should have met, met by chance and produced a child." 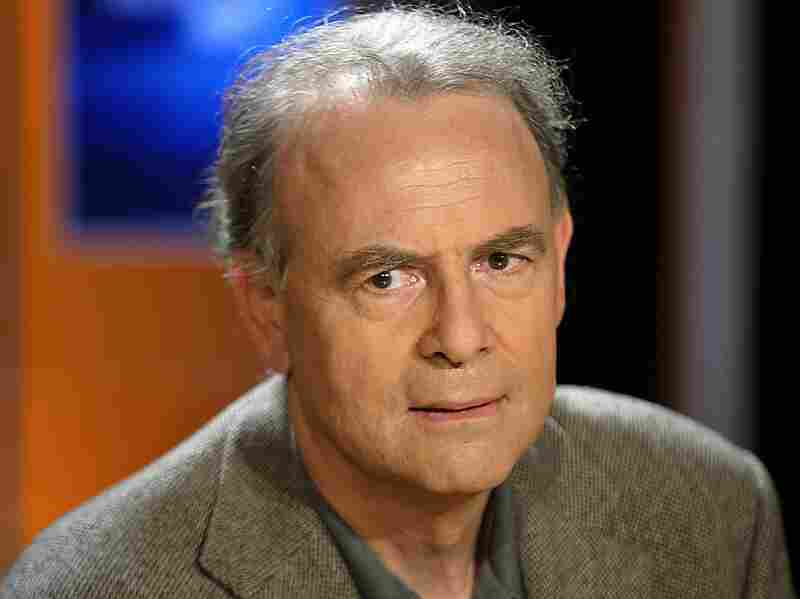 In a rare interview accorded to France Today in 2011, Modiano says he never considered becoming anything but a writer. "I had no diploma, no definite goal to achieve. But it is tough for a young writer to begin so early. Really, I prefer not to read my early books. Not that I don't like them, but I don't recognize myself anymore, like an old actor watching himself as a young leading man." Academy Permanent Secretary Peter Englund acknowledged that Modiano is likely not a household name in English-speaking countries. "He is well-known in France, but not anywhere else," he noted in an interview. If you're looking for an introduction to Modiano's work, Englund recommended reading the novel Missing Person, which won the prestigious French prize the Prix Goncourt in 1978. The 69-year-old writer will receive approximately $1.1 million with the prize, in a ceremony slated for Dec. 10.